Russia's space program is rattled by SpaceX's promise of cheap spaceflight. For years, the Russian space agency Roscosmos has served as an international space courier service, contracting with NASA to shuttle astronauts and equipment into orbit aboard its reliable Soyuz rockets. But in the wake of a high-profile Soyuz booster failure last month, and in the face of new competitors in the private spacetech industry, Bloomberg reports that Roscosmos is now reevaluating its future. 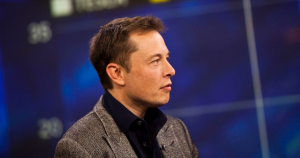 In particular, the business magazine found, the agency’s ire is aimed at Elon Musk’s SpaceX. In its most recent annual report, Roscosmos blamed SpaceX — which plans to send four NASA astronauts to the International Space Station this April aboard its Dragon 2 reusable spacecraft — for its declining fortunes. It also blamed sanctions and weak currency, Bloomberg reported. Roscosmos is dealing with more than international competition from the private sector, though. The head of a Russian auditing group said in November that the equivalent of billions of dollars had been “basically stolen” from the agency’s coffers. But Gerstenmaier, the NASA administrator, expressed hope that collaboration between the two countries — which dates back to the 1970s Soviet Union — will continue in the future, regardless of the changing industry. An earlier version of this story reported that SpaceX planned to send four astronauts to the ISS aboard a Dragon 2 spacecraft, rather than two. The story has been updated.